Posing for the photographer (from left to right, first row): Communications officer Alexander Petrov, Office Manager Olga Polevaya, DG Kaname Ikeda, Anatoly Krasilnokov, Head of the Domestic Agency; (second row) Vladimir Vlasenkov, Igor Semenov (IT), Sergey Kuz'minov (IT), Harry Tuinder, Tatyana Koroleva and Natalya Mokeeva, both from the Finance Department. In order to discuss the progress and development of the ITER project and the agenda of the upcoming Council meeting, Kaname Ikeda, Director-General of the ITER Organization (IO) together with the IO's legal advisor Paul Henry Tuinder visited ROSATOM and the ITER Domestic Agency of the Russian Federation last week. 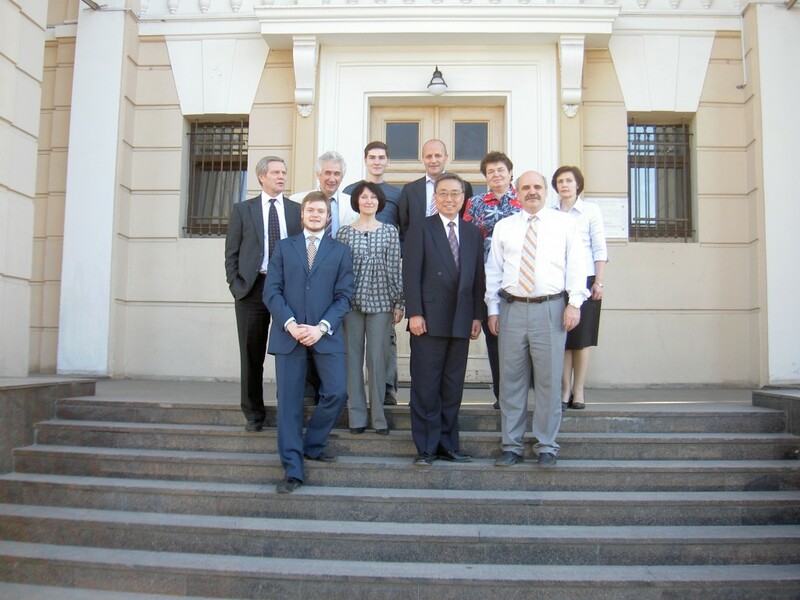 During his visit, Dr. Ikeda was introduced to the team of the Domestic Agency and he visited the Nuclear Synthesis Institute of the Russian Research Center "Kurchatov Institute" and the F-1 Reactor, the oldest working reactor in the world, in operation since 1946.